RapidTech - Fast & Friendly Computer Repair: 500 Likes for the RapidTech Facebook Page! 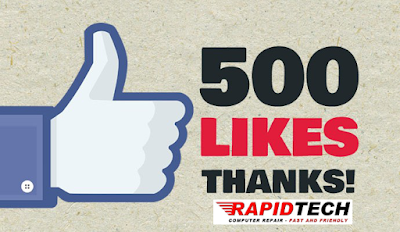 500 Likes for the RapidTech Facebook Page! Thank you so much. If you're reading this, pay the page a visit. I like to share tech and local news. Click on the Like button while you're there.